Knights of Columbus Hall, 25 W. Kiowa St. The building, which is owned by Pikes Peak Library District, is now hosting events organized by Flux Capacitor and other local DIY arts and music groups. An interview with PPLD spokesman Sean Anglum, musician and Pikes Peak Arts Council Executive Director Kate Perdoni, and Flux Capacitor co-founder Bryan Ostrow about a new partnership between Flux Capacitor and the library district. Members of the Colorado Springs arts and music community are celebrating a new partnership between the Pikes Peak Library District and local DIY arts groups. Among them is Flux Capacitor, a popular local warehouse music venue, which was shuttered in December due to fire code violations. Through the partnership, Flux Capacitor, or "The Flux,” and others will be able to host concerts and events in the Knights of Columbus Hall, a historic building owned by PPLD, located west of the downtown library at 25 W Kiowa St. The building has been largely unused for years. "This is what libraries are meant to do, this is a demographic the library currently is not reaching." "John [Spears, PPLD executive director] and I, for the past year have talked about what we can do with that space," says Sean Anglum, chief communications officer at PPLD. He says the Flux Capacitor, which had been searching for an affordable venue in which to reopen since December, seemed like a natural partner. "We have the space, but don't have the staff right now to do something with it. [Flux Capacitor] has staff and human power and not the place to put it. It kind of just came together that way." The partnership was born, in part, out of a community meeting in March, where hundreds of people gathered to share their feelings about the Flux Capacitor and discuss strategies for finding a new home for the venue. Kate Perdoni, musician and executive director of the Pikes Peak Arts Council, was one of the organizers of the meeting. "We thought, we've been trying to explain to everybody what this community is, but why don't we just show them," says Perdoni. "I think probably around 50 people gave testimonials about how the Flux had changed their lives, how they had found a sense of community. John Spears from the library district was at that meeting, and he saw the community -- something you can't really explain to people [...] He said, 'this is what libraries are meant to do, this is a demographic the library currently is not reaching, and we have the ability to connect the community with our resources.'" A notice on the door of the Flux Capacitor, notifying them that the space could no longer be used for events. In some ways, it's an unlikely partnership. In its previous incarnation, Flux Capacitor operated in a legal gray area. Now, it will be located in a facility run by the library district -- a distinguished local institution. But Flux co-founder Bryan Ostrow says that apparent mismatch is part of the appeal of the project. "You think of a library as smart and pristine, and then you think of DIY venues being dirty and weird," he says. "I think we're all working together and learning from each other. We're learning how to do things a little more the right way, the proper way. They are learning about us -- you know, the youth -- and how we like to do things." Perdoni says she thinks it's a win-win for both. "It's elevating what the Flux is doing by giving them a space and saying, 'we're proud of you, keep doing what you're doing in the community,' and it's elevating PPLD by saying, 'wow, you guys are really tapped into what your people need and want,'" she explains. PPLD's Sean Anglum agrees, and says he sees the partnership as in line with recent efforts on the part of the district to expand the scope of its services to the community. He points to the new library 21C campus, which boasts a makers space, media lab, and other non-traditional library offerings, as an example of how libraries are changing. "The library isn’t about books and being 'shooshed' anymore. It’s about the community moving forward, and finding themselves and finding each other," he says. During the two years that Flux Capacitor was operating in its previous location off Chelton Road in Colorado Springs, it hosted hundreds of local, national, and international acts ranging in genre from metal to experimental electronica to hip hop. It also developed a reputation as a DIY destination for bands the world over. The venue attracted the attention of other similar art and music collectives around the country as well. In the aftermath of the Ghost Ship fire last year -- in which 36 people were killed at a DIY venue in Oakland, CA, and which prompted a crackdown on unsanctioned event spaces nationwide -- the New Mexico-based arts collective, Meow Wolf, offered grants to DIY groups seeking new spaces. Flux Capacitor applied for a grant, and was awarded an unspecified amount by the group. "It's pretty cool to have them on our side," says Ostrow. "We look up to [Meow Wolf]." The partnership between Flux Capacitor and PPLD is still in an experimental phase, with only a handful of limited-capacity events planned. However, organizers say that, pending some renovations and a reevaluation of the building's occupancy rating, the space will soon be open for regular concerts, art exhibits, and events. In the meantime, printing outfit Peach Press and a local book club are also using the facility. Anglum says that once the space is ready, it will host "as many events as [community groups] want to have." Based on the number of requests that Ostrow says he still gets from bands looking to book shows with Flux Capacitor, there will likely be no shortage of music at the new facility. 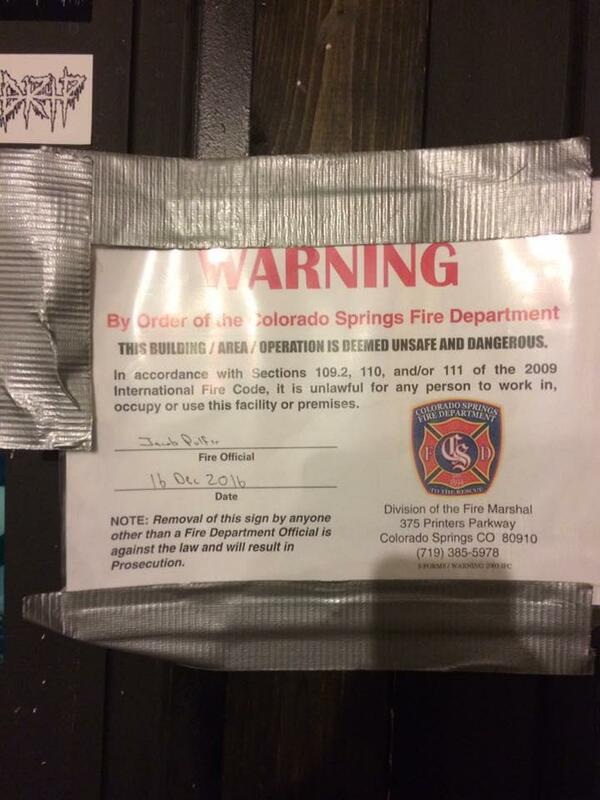 Flux Capacitor, a warehouse music venue that has become a fixture in the Colorado Springs music scene over the last two years, announced Monday that the city's fire department ordered it to close its doors. The move comes amidst a nationwide crackdown on unsanctioned, artist-run event spaces--often referred to as "DIY" venues--in the aftermath of the Ghost Ship fire in Oakland, which claimed the lives of 36 people earlier this month. 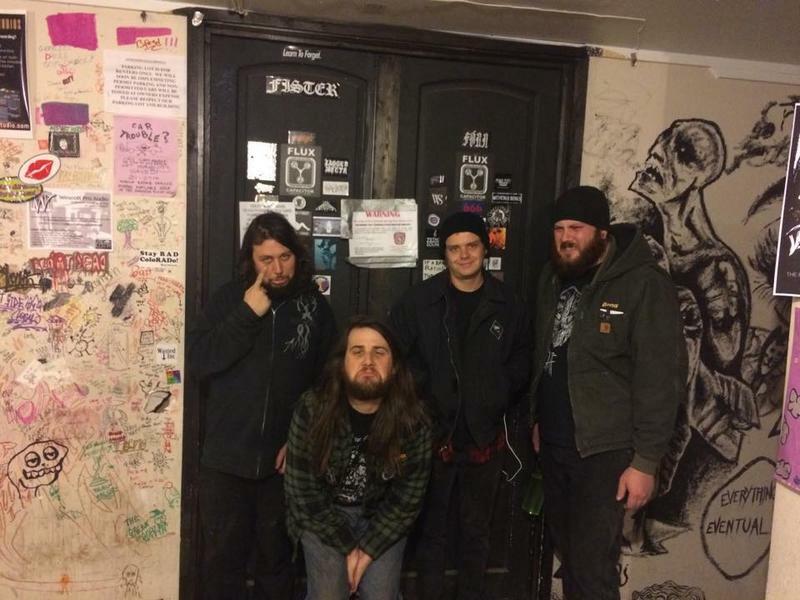 What's Next for the Colorado Springs DIY Scene? Jake Brownell interviews Flux Capacitor co-founder Bryan Ostrow and Jeff Bieri speaks with Cloud Factory organizers Han Sayles and Mitchell Macura about the future of DIY in Colorado Springs. In the last 6 months, Colorado Springs said goodbye to several beloved DIY spaces.